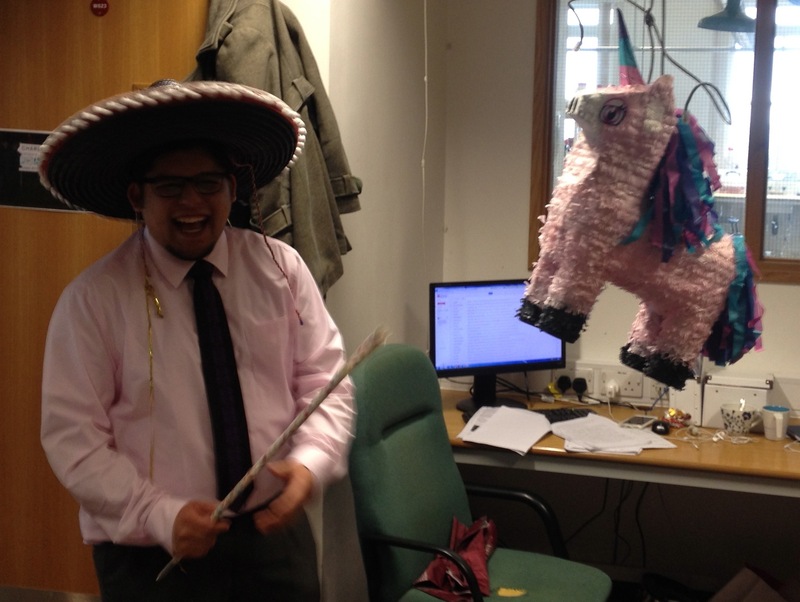 Congrats to Angel, who passed his viva on Wednesday! Celebrations had a Mexican flavour, as could be expected! Well done Dr Sanchez Sanchez, who is now working with Dr Nikolay Houbenov in the molecular materials group of Professor Olli Ikkala at Aalto University, Helsinki, Finland!